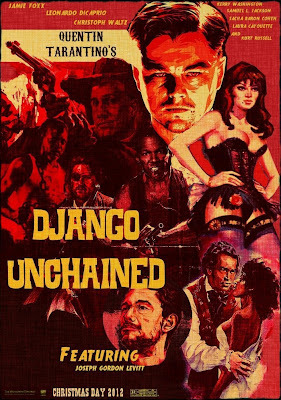 The story of an ex-slave turned bounty hunter who goes on a blood soaked search for his wife is the most fun I have had with a movie in a long time. There are a hundred reasons why this shouldn't work but it does in spectacular fashion. 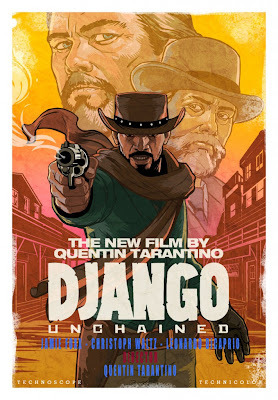 This is another winner in the long lists of successes for Quentin Tarantino. You either love him or hate him but you can't ignore him. I could watch Christoph Waltz in a movie everyday of the week. His Doctor King Shultz has such a cool line deliver and in this script he is given some brilliant things to say which he does with great relish. His humanity (even though he is a bounty hunter) is evident from the first time we see him. Tarantino has found his muse and I hope they make many movies together. Daniel Day Lewis will get the Oscar for best actor but to me Waltz is even more deserving of praise because he had no model to base his character on. He only had his skills as an actor and great lines to create another memorable person in King Shultz. Luckily the Academy choose to nominate him in the Best Supporting actor spot so the two don't have to compete with each other. I have no doubt that Waltz will win his second Oscar and it's one of the few reasons I am interested in the awards show this year. 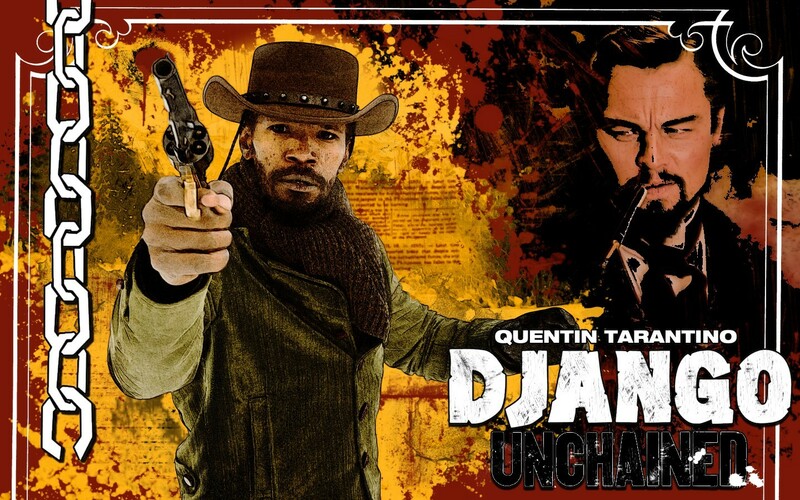 While searching for his latest bounty, Shultz finds Django (Jamie Fox), a slave. 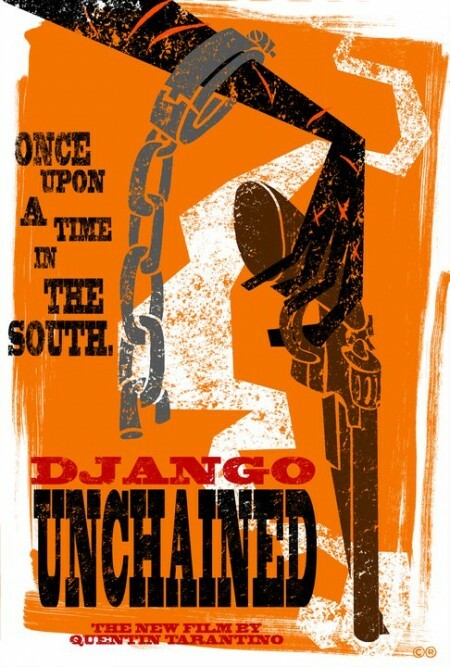 He frees him in exchange for information about the men Django knows and so begins the partnership of these two men who couldn't be more different but who at their hearts have a unique hatred of slavery. Everyone who encounters the pair have a good reason to question their alliance but Waltz has an answer for everyone, be it a bullet or a well argued legal point. I found it thrilling. He knows every answer before the questions are even asked. With his mentorship, Dr Shultz gives Django the confidence to seek out his own justice and it's alot of fun to see how quickly Django adapts to his new role as a 'free' man and avenging angel. The Dr. even teaches him to read. 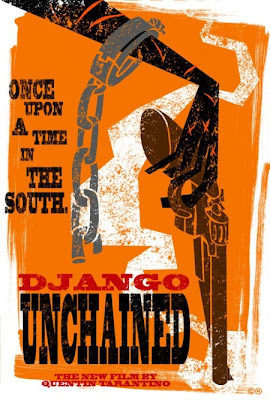 To help Django develop he counsels that if you play the right 'role', you can achieve anything you want because racists are stupid and will believe anything you tell them. I loved the way the story just pulls you in and makes you root for justice - violent justice but justice none the less. It was nicely cathartic to watch bad people get what was coming to them. The Klansmen bitchin about the poor visibility they have through their hoods was hilarious. I like to think this is exactly the way these stupid peckerwoods operated. "I think we all think that the bag was a nice idea. Now, not pointing any fingers, they could have been done better. So how 'bout, NO bags this time but NEXT time we get the bags right and go full regalia." That is just GOOD writing and the funniest Klan-based comedy since Blazing Saddles. Was it necessary to the story? Not really but it reinforces the attitudes that whites had about blacks during that time in history and again, re-inforces the theme that racist white people are inherently dim and bigoted. Truth be told little has convinced me that those kinds of attitudes have changed in the South in the 150 years since slavery was abolished in the US. I also have never seen a movie with a long running time feel so short. I wanted more of everything. 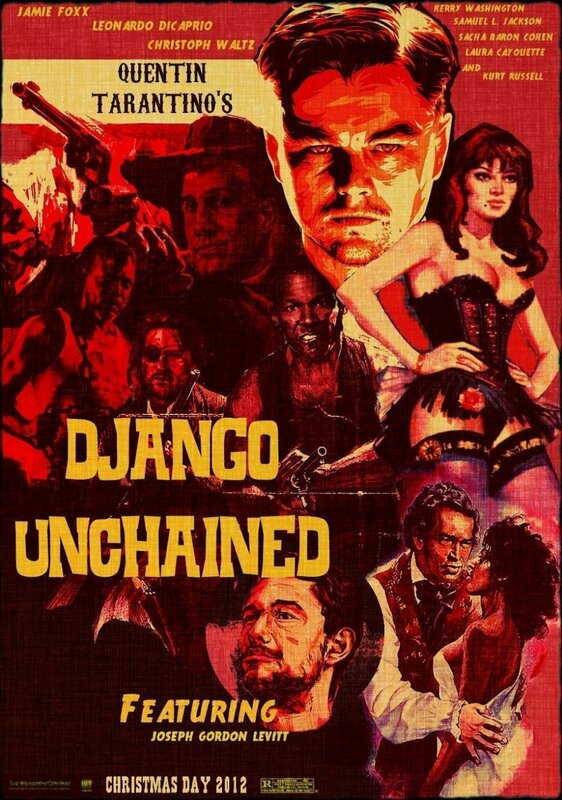 Once again Tarantino is a genius with his choice a music for the soundtrack. From all eras and styles he draws songs for inspiration and to set mood. His choices should jar you and take you out of the story but never do. Now we have to talk about the use of the N-word. To me it's a non-issue. I personally cringe whenever I hear that word but in the context of this movie it's entirely appropriate. To not use it would have cheated us of the power that word has to put ground the story in some kind of reality, especially a movie set two years before the Civil War. After what could have been it's own film, we get to part two of the tale. 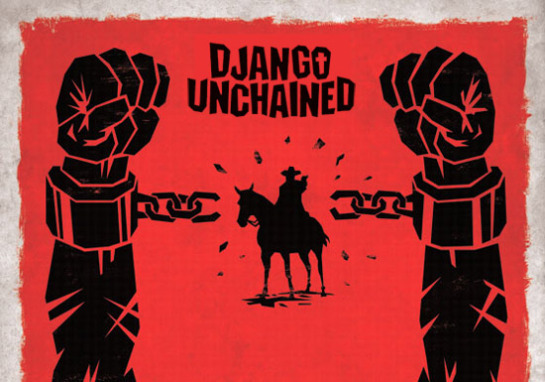 Django and Shultz discover where Django's wife, Brunhilda is. She was taught German as a child, a point that immediately intrigues Dr. Shultz and that small fact provides them with an opening to rescue Hildy from the clutches of her evil owner, the at once charming and deadly Calvin Caddie (Leonardo DiCaprio) from the plantation called Candyland. Everything is working fine until a wise old house slave called Stephen (Samuel L. Jackson) trusts his instincts (and his immediate hatred for strutting Django) and throws the whole plan into the crapper. It would cheat you to reveal what happens next but suffice it to say I left the theatre satisfied with everything I had seen and I think you will to. Tarntino was criminally robbed of a best Director nomination but should win for best original screenplay - or at least I hope he does (N-word not withstanding). Nothing would please me more than seeing this excellent spaghetti western win Best Picture but nothing will stem the momentum that is Lincoln.